Have your kids stop by! Students, parent and guardians are invited for an evening of snacks, activities and important information about how to be successful in middle school. Parents will learn some new tools for helping their kids have a smooth transition to middle school! Join us just before “7th Grade Night” for Pizza and Salad. $5.00 per person all-you-can eat. Teachers and Staff eat for free! We’ll need to get an idea of how much food to buy. Please fill out this brief survey so that we know how much to have on hand! 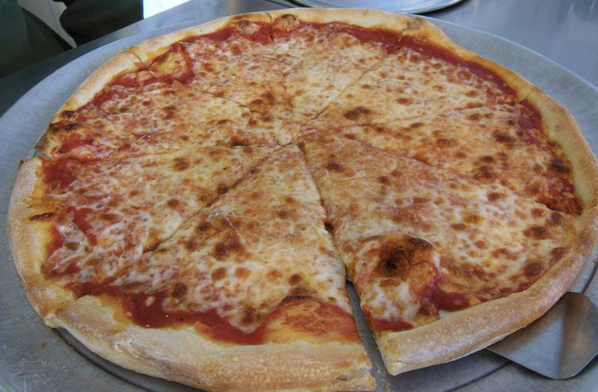 The pizza is from Pizza Roma. 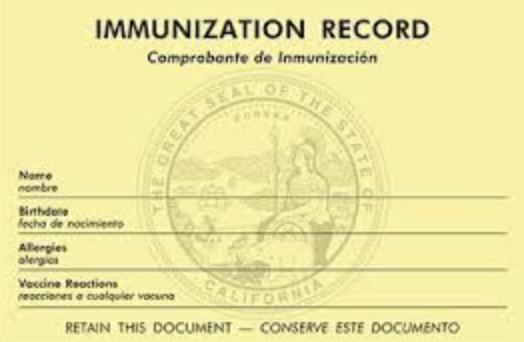 CALL OUT FOR 7th GRADER IMMUNIZATION RECORDS! If you haven’t handed them in, please ensure they make it to the main office as soon as possible. Clipper card applications are due Tomorrow, Friday August 24th. Please ensure they make it to the main office first thing! Pictures for the yearbook will be taken on Friday, August 31st! Wednesdays and Fridays after school. Yipee! 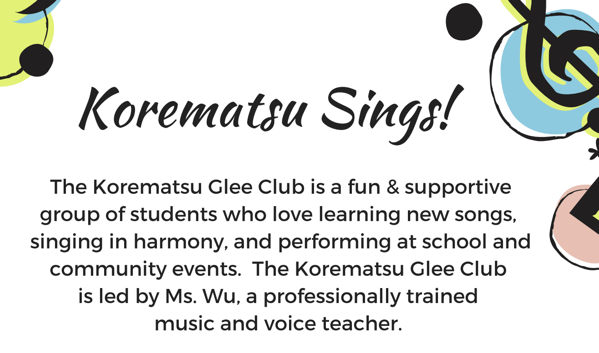 Glee Club (choir) is starting ! Singers & Families, please help spread the word (info. flyer). Sign-ups are welcome up until enrollment closes on September 12th. By the 12th, we’ll finalize the roster and provide it to the BACR after school Program Site Director because, for safety, the program tracks which students are on campus during the after school hours (even those not registered with BACR). FYI also BACR would gladly include your student in their supper/meal program after school (working with BACR on this aspect). So that Ms. Wu can focus her talents on teaching vocal music, Mary and I have stepped up for administrative and operational details. For Fall 2018, we’re looking for a couple of parents that can lend a hand, for example, we give Ms. Wu a lift from Madera every week so she can make it on time for class. To secure your student’s spot for the Fall Session, submit $150 payment (15 class sessions) soonest (latest by 9/12) OR let us know your student will be on scholarship (or need a payment plan). With some families contributing to a scholarship fund, our goal is to cover whatever scholarships are needed, hopefully in full! If you’re able to contribute towards a scholarship fund, whatever amount, please do. The El Cerrito Recreation Department is excited to offer Enrichment Classes for Middle Schoolers! This fall, professional instructors will lead classes in Martial Arts, Public Speaking, Cooking and Athletics for middle school students. Classes will be held conveniently at Castro Clubhouse right next to Korematsu Middle School, and take place shortly after the bell rings. Enrichment Classes provide a safe place for your student to go after school, and helps them to discover and develop new passions and interests. Please see the attached flyer for class descriptions, fees and schedules. To register, stop by the El Cerrito Community Center at 7007 Moeser Lane or visit www.el-cerrito.org/onlinereg. Registration is now open! With enough enrollments and support, we hope to grow this program with new classes over the year. If you or someone you know might be interested in teaching a class for middle schoolers, please feel free to refer them to the Recreation Department. You can also contact us with any questions regarding these classes. 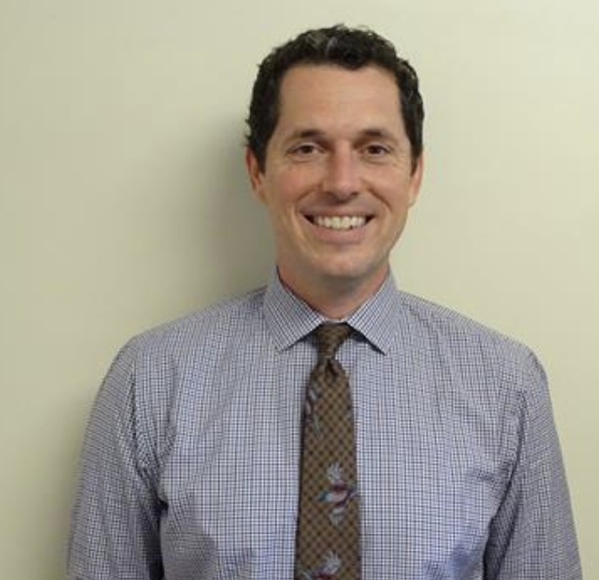 WELCOME BACK LETTER FROM SUPERINTENDENT DUFFY! Welcome Back Letter from Superintendent Duffy in this Link! ← We’ll See Everyone Tomorrow, Monday!